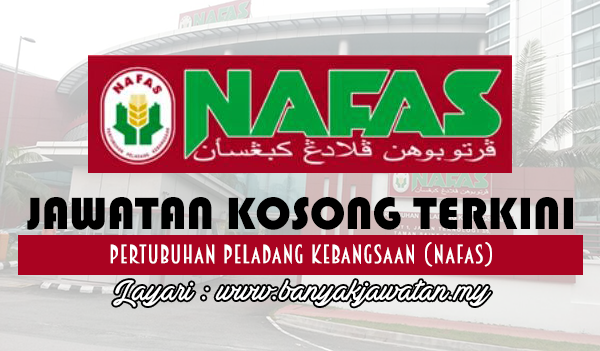 We, being an established organization incoporated under Act, 109 (1973) functions as an apex body for all Farmers Organizations in Malaysia with its corporate mission to be a national institution spearheading the activities of the farmers’ organization as a fully capable business entity towards the prosperity of farmers and agriculture industry. In line with our business plan and expansion program, we are inviting applications from qualified and suitable candidates to join us for various position in our Group to be groomed as our future leaders. We offer competitive packages of salary and benefits commensurate with qualifications and experience. 0 Response to "Jawatan Kosong di Pertubuhan Peladang Kebangsaan (Nafas) - 3 December 2017"